Our specially selected, enthusiastic staff provide daycare services from the age of 3 months up to 12 years, through our crèche, Montessori and Afterschool programmes. Our unique Step Ahead curriculum is a creative, activity filled and fun approach to early years education, incorporating Aistear and Montessori methods and standards. We offer a child centred approach where children are allowed to develop their creativity and individuality, building self-confidence and their own identity. Though each of our centres are unique, they all benefit from a common commitment, maintaining the high standard of Hyde & Seek Childcare. Every child in our care is provided with a healthy diet, fresh air, exercise, rest and play, all contributing to their holistic and educational development. At our crèches you will find a wide range of age appropriate learning materials and high quality toys for both indoor and outdoor activities. 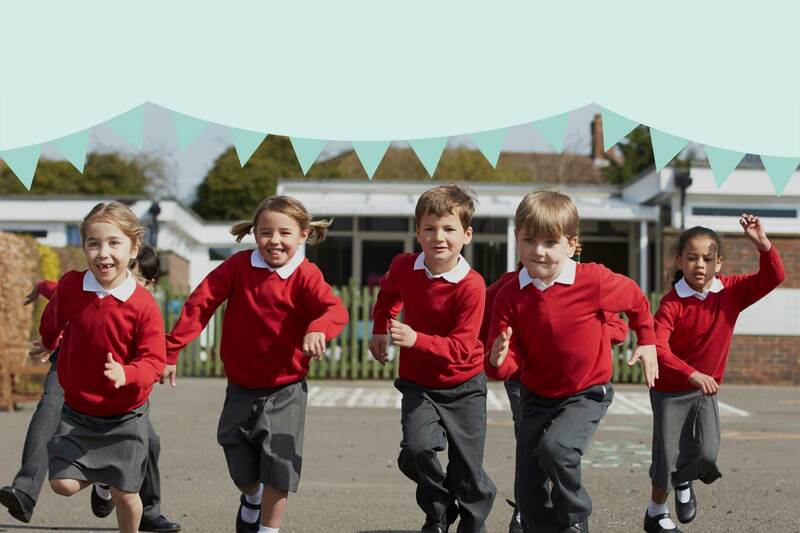 Children are encouraged to explore a wide range of subjects through our active learning ethos. Surrounded by children of a similar age, each child will form new friendships and develop at their own pace. Enthusiastically they learn new skills every day. Each child is recognised and treated as an individual where ethnic diversity is celebrated and equal opportunities are open to everyone. We will work closely with you the parents, learning about the life of your child outside of the crèche in order to provide a level of care that meets the high standards you expect for your child. Through open communication we grow in partnership with you. Nowhere can your child and you expect or receive a better quality of care or a warmer friendlier welcome. In order to deliver our exceptional care and education programme we place great emphasis on the staff who work with the children entrusted into our care.We are extremely proud of our established and professional team. Every member has been selected for their experience, qualifications, dedication and enthusiasm to making a positive difference to children’s lives. Our childcare is not an individual effort but a collaborative pursuit by people from rich cultural and diverse backgrounds. It is a team effort of roles and responsibilities that allows us to deliver a high standard of care and education. Each creche is run by a qualified and experienced crèche Manager who is supported by the dedicated hands-on owners of Hyde & Seek Childcare. The manager guides an experienced team of room leaders and childcare practitioners. All our staff are fully qualified, many to a degree level and we provide and encourage on-going professional development and training. Applicants undergo a rigorous recruitment process. All necessary and essential background checks are carried out, this includes police vetting and verbal verification of written references. We aim to have all our staff paediatric First Aid and Child Protection trained. 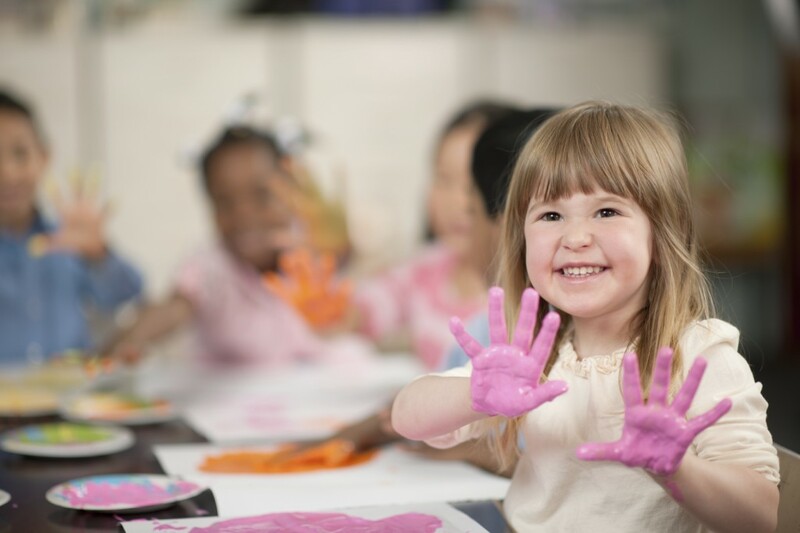 We want to make your child’s time at Hyde & Seek Childcare a happy experience. To ensure the best care for your child each child will be assigned a Key Carer. A Key Carer will be assigned to ensure the best care for your child. The Key Carer will build a bond with your child, this begins not with the child but rather by talking with you the parents. You will be asked to provide background information about your child in order to develop a “care plan” for them. Using this information our Key Carers help our babies and children become settled quickly, and to feel confident and safe within their new surroundings. They build a warm loving bond with the children in their care and offer reassurance in a familiar and settled relationship. This bond will ensure the children feel loved, happy and secure which in turn will build their confidence and independence. The Key Carer is also responsible for planning and carrying out activities with their children. During these activities they will carry out observation and assessment of the children. These are recorded and build up into your child’s individual “Learning Journal”. We realise parents are the child’s main educators, the Key Carer will seek to form an ongoing partnership with parents in order to ensure continuity of care and education. The Key Carer will seek any relevant information from the parent when arriving at the crèche each day. At collection time the Key Carer will give a report on your child’s day and can tell you about all those little details and special moments. At Hyde & Seek Childcare, we regard meal times as an important part of your child’s day and we are dedicated to providing healthy food options for those in our care. From babies to school age, our menu ensures your child has all of the nutritious food which meets their individual dietary needs. Our menus, in consultation with a nutritionist, are set out in a 4 week cycle to ensure a well-balanced and varied diet, one that provides sufficient energy for healthy growth and development. Our aim is to keep our menus interesting by including a wide range of colour, textures and flavours. Crèche menus are available at our crèches for parents to view. Our HACCP trained chefs prepare and cook using fresh vegetables and the best quality meat and fish. We are passionate about the quality of food that we serve and the tastes and flavours that your children experience. All food is cooked fresh daily and is locally sourced wherever possible. All meals are low in sodium and sugar content. By providing your child with a rich and varied diet and developing their knowledge of the food they eat, we hope to sustain their enthusiasm for healthy eating and enable them to make healthy choices for themselves. Meal times at the crèche are key social times in the day, we believe that meal times should be an enjoyable experience. The children eat together to make meal times fun and to encourage food etiquette such as good eating habits, table manners and social skills. Throughout meal and snack times children are encouraged to be as independent as possible. Depending on their age and development children will wash their hands, set out the table, pour their own drinks, butter their own toast, feed themselves or help clear away their leftovers. 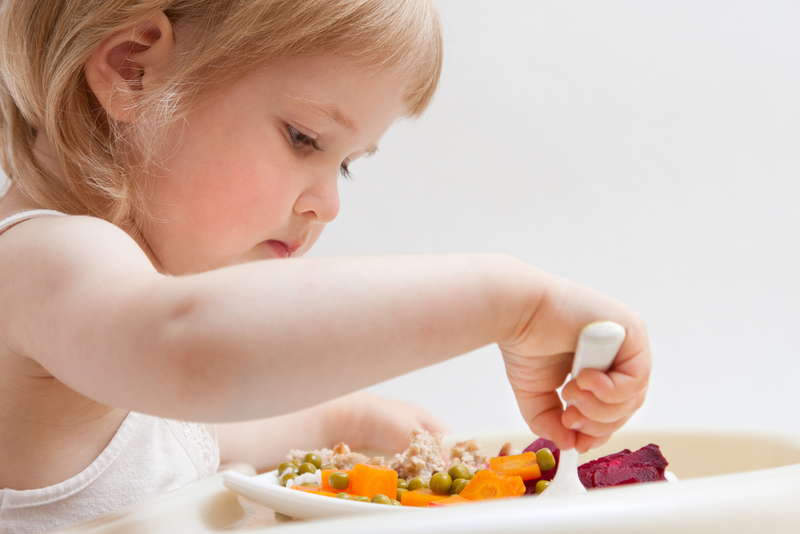 Meal times are just one element of diet and nutrition in Hyde & Seek Childcare. We recognise that by educating children from a young age about food and healthy eating practices, we can influence them later in life. Diet and nutrition is therefore incorporated into our Step Ahead curriculum and we introduce healthy eating education through practical activities and play. Before your child starts attending the crèche, we will consult with you the parent to identify their dietary needs and preferences, including any allergies. Parents can read our ‘Healthy Eating Policy’ which sets out our aims with regards to a healthy lifestyle and mealtimes within the crèche. ECCE Free Preschool Year places are available in all our crèches. The Early Childhood Care and Education (ECCE) scheme is a Government funded initiative that provides “free” pre-school education to every child. What will my child be entitled to? The scheme entitles your child to a preschool programme for up to 15 hours over 5 days per week. If your child attends more than 3 hours a day then the subsidy received from the Government for the ECCE scheme will be deducted from their fees. Children will be able to enroll in pre-school at 3 different points in the year (September, January and April) in order to access the scheme. How do I book a place for my child under the ECCE scheme? To book a place for your child on the ECCE scheme, please register your interest at info@hydeandseek.ie or contact your nearest branch for further information. The TEC Programme supports parents on eligible training courses and eligible categories of parents returning to work, by providing subsidised childcare places. Schemes currently funded are CETS, CEC and ASCC. Places are available in all our crèches. The Childcare Employment and Training Support (CETS) scheme provides subsidised childcare for those attending vocational courses. These include Youthreach, Vocational Training Opportunities Scheme (VTOS), the Back to Education Initiative (BTEI), Further Education and Training (FET) courses (i.e. specific skills training and traineeships), the FIT Initiative and Momentum. 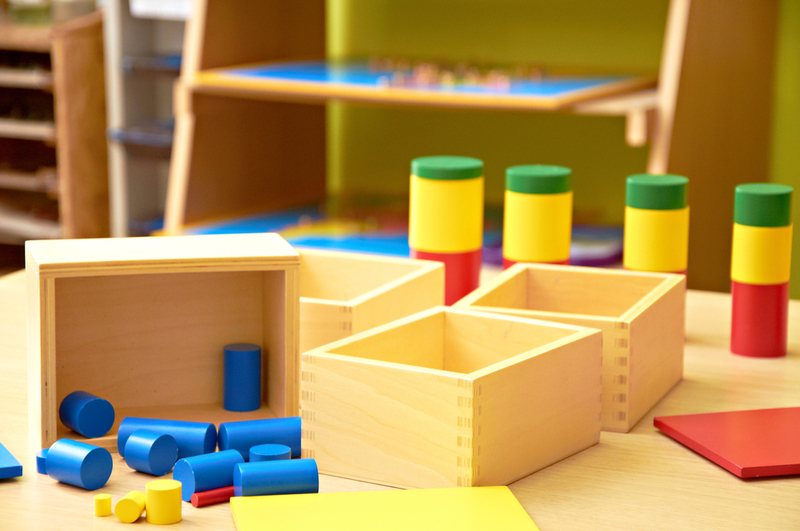 CETS can provide full-time, part-time or after-school childcare places. What is the CEC scheme? The Community Employment Childcare (CEC) scheme provides childcare places for Community Employment (CE) applicants who need childcare so that they can take up a place on a CE scheme. Both existing CE participants and new entrants can apply for the CEC scheme. Part-time childcare places will be available for children up to 5 years of age and after-school care up to 13 years of age. What is the ASCC scheme? The After-School Child Care Scheme (ASCC) supports low-income people to return to work. The scheme provides subsidised after-school childcare places to people with children of primary school age who find employment, increase their employment hours or take up a place on an employment support scheme. If you are currently getting either Jobseeker’s Allowance payment, One-Parent Family Payment or are on an employment support programme or Family Income Supplement (FIS) you may qualify. How do I book a place for my child under TEC scheme? If you have any questions about the CEC Scheme or how to apply, please email us at info@hyeandseek.ie or contact your nearest branch for further information. If you want a varied and rewarding career, one where you can share your knowledge and experience in childcare and you are passionate about guiding children through their early years, we would love to hear from you. Please send us an email info@hydeandseek.ie with your CV and a cover letter. We provide daycare services from the age of 3 months up to 5 years and afterschool up to 12 years. In our baby room we create a warm and cosy environment which very much reflects home life. The room offers a safe area for non-mobile babies to explore and is designed to stimulate and encourage learning and development. Areas such as, soft play, black and white play and treasure baskets provide a rich, stimulating sensorial experience. We also provide sensory activities such as baby massage, messy play, music and movement. Throughout the day our babies also enjoy one to one care, with our very loving and caring staff, through activities such as cuddling, feeding and story time. There is a sleep room linked to our baby room, this is a separate tranquil room with cots where our babies can sleep peacefully when they are due to rest. In discussion with parents, each baby has an individual routine to suit their needs to ensure they feel safe and secure. Through an individual “Daily Diary” we record your child’s day which will be discussed with you at collection time. The Tiny Tots room offers new opportunities for exploration and discovery. The layout provides a stimulating environment for the Tiny Tots as they become more mobile. It is an interesting and interactive space, full of age-appropriate resources such as a nursery gym, sensory areas, table top activities, a music area and a cosy corner for cuddles and stories. The day is structured around the changing interests and individual needs of the child. It allows them to learn at their individual pace of development while still providing for rest periods when needed. Our carers plan fun activities such as, messy play, “dressing up” and “make believe”, around a monthly theme. These activities are designed to help a developing curiosity, co-ordination and social skills. At this stage the Tiny Tots begin to express their needs and feelings through a few simple words, phrases and signals. These developing communications are reinforced through positive feedback and encouragement from the carer. Each day we document your child’s day on an individual record and this will be discussed with you at collection. At this age children’s language and physical skills are developing rapidly and they grow in independence and confidence. 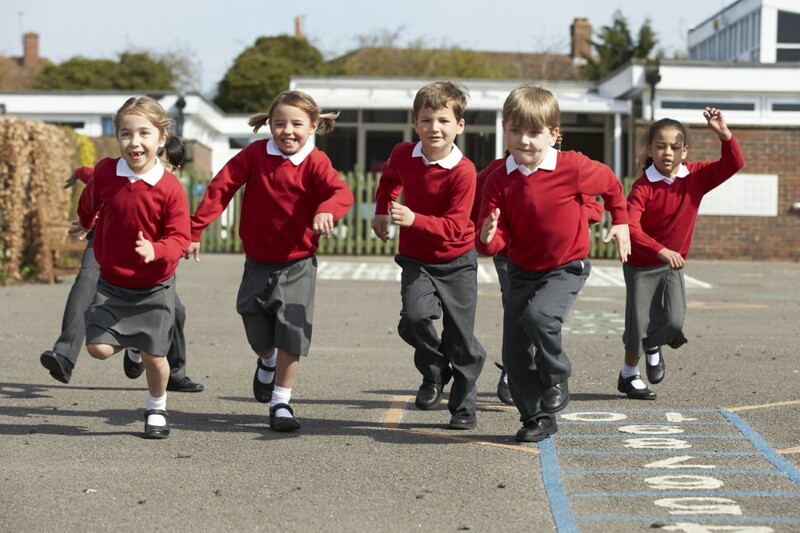 Many are beginning to put sentences together and their emerging physical skills mean that children can now usually walk, climb, run and join in active play both indoors and outdoors. Our toddler room environment is designed with well thought out dedicated interest areas that allow for child initiated play. 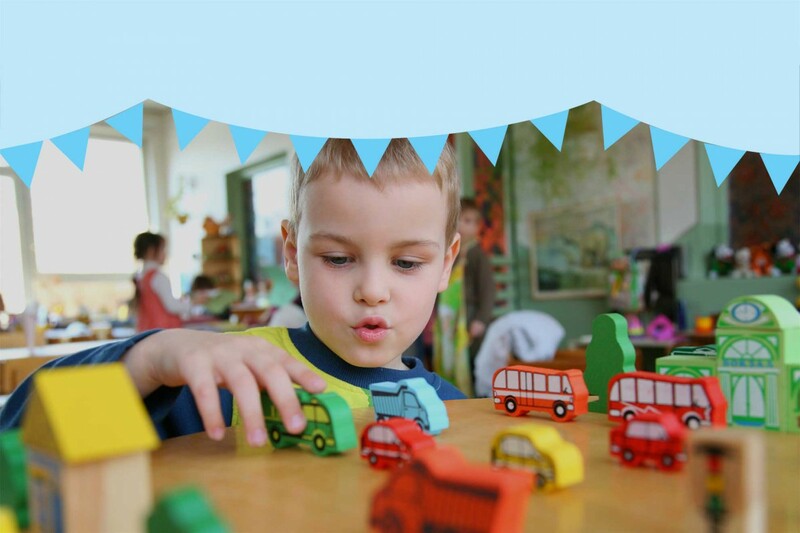 Areas and activities such as the creative and messy area, reading corner, dress-up area, circle time and home corner encourage independent thought and social skills. This play is reinforced with interactive engagement and conversation with the carers. This engagement supports the child’s intellectual and language development and allows the carer to gain knowledge of the child’s interests. Click here find out more about Learning and Development in Hyde & Seek Childcare. Hyde & Seek afterschool club offers a comfortable, relaxed and fun environment for children of a school going age. In our club, your child can unwind after their school day, while interacting with other children and adults they will build new friendships. We encourage the children to have independence, freedom of movement and choice within the club. They are actively involved in the decision making process, all ideas and thoughts are welcomed, valued and supported, it is a very child centred environment. We offer a range of activities such as reading, arts and crafts, cookery, board games, construction, puzzles, science, computers, team games, gardening, sports, weekly trips to the park, library and much more. Our afterschool programmes offer ample opportunities for new and challenging activities. They facilitate and support your child to develop their confidence, autonomy and self-esteem. Extra activities include soccer coaching, singing/music, dancing, speech and drama. Staff supervise and assist with homework and help to encourage a positive attitude towards homework. Our afterschool staff have an understanding of the Irish primary school curriculum. In the morning, prior to heading off to school, we offer your child breakfast. When your child arrives at the club after school they will have a hot nutritious dinner and later in the afternoon we prepare a light tea. All meals are prepared and cooked by our chef. Hyde & Seek Childcare provide a drop off and collection service. This is either by foot to local schools or using Hyde & Seek Childcare vehicles, we can drop off to, and collect from, schools of a further distance. All vehicles comply with road safety standards, are fully insured and all drivers hold a full clean Irish driving licence. As part of our afterschool programme we operate an out of school camp during all school holidays. These offer fun, challenging and sporting activities and events. It also incorporates outings to local parks, libraries, museums, The Botanic Gardens, Malahide Castle, Leisureplex, the beach, the zoo, sports stadiums, swimming and lots more. Children who are not enrolled in the afterschool programme can attend the holiday camps also. Consistency and reliability are key factors for our families, we are open all year round and we cater for unplanned school closure times. Although you may view your child’s first day at Hyde & Seek Childcare with some trepidation be assured our experienced carers have been through this many times and will ease you and your child through the process. We begin to plan and prepare you and your child for that first day well before the big day arrives. We offer, free of charge, a number of settling in visits. These allow you and your child to come to the crèche and to get familiar with the staff, the surroundings and the activity. These begin as short visits which lengthen on each visit. During your settling in visits you will meet your child’s “key carer”. The key carer will guide you through the settling in process and will also be responsible for planning your child’s day. They will monitor your child’s development and welfare and provide daily feedback to you on your child. Along with the manager, they will be your main point of contact at the crèche. The key carer will take the knowledge learned during these settling-in visits and the information provided by you to develop a care plan for your child. You will be asked to complete an “All About Me” information sheet. This is a key document, detailing background information about your child, which we use to help your child to settle in. The key carer will use this document to assist in getting to know your child and to help build up a trusting relationship. 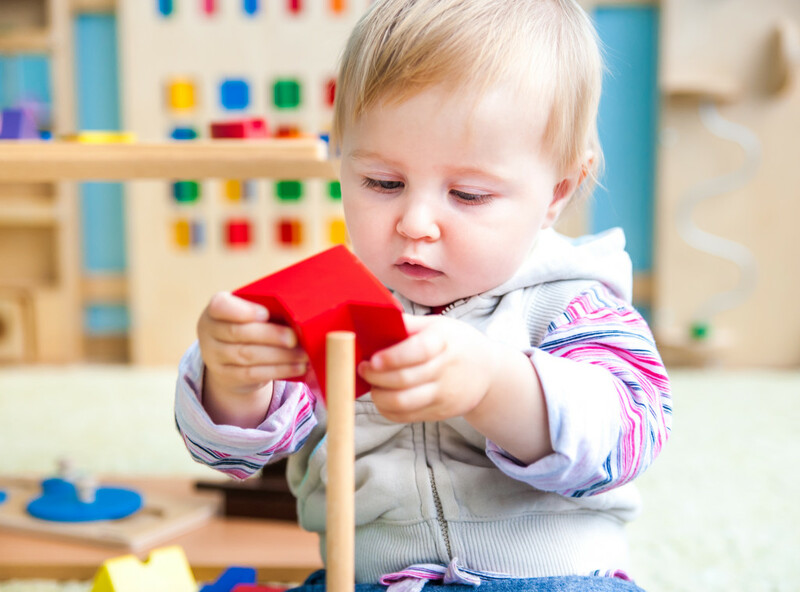 At Hyde & Seek Childcare we take pride in embracing the Montessori Method, we share the same loving vision as Maria Montessori and have integrated the Montessori theories into our “Step Ahead” curriculum. To prepare your child for primary school and the wider world we offer Montessori pre-school classes, with specialised Montessori materials, to enable us to guide your child on their path to independence, self-determination, motivation and choice. We provide your child with achievable challenges throughout their time in Montessori, so that their self-esteem is nurtured and they are encouraged to even greater exploration through the joy of learning. We strongly focus on the individual child, allowing them the freedom to develop at their own pace. The Montessori way of teaching presents your child with a broader curriculum which expands into life skills. Under the headings shown below, we fill each day with a combination of teaching, outdoor exercises and fun in order to present a full and stimulating environment for children. The goal of these activities is to develop your child’s ability to look after themselves and their environment. Practical Life gives children a very strong foundation for writing and mathematical concepts. These activities stimulate and develop the senses, refining your child’s powers of observation, perception, exploration and communication. Sensorial activities gives them the most firm foundation for Maths and Language in their later years. Using tools such as Sandpaper Letters and Classified Cards, your child will learn the alphabet and phonetics, providing early preparation for the development required for reading and writing. 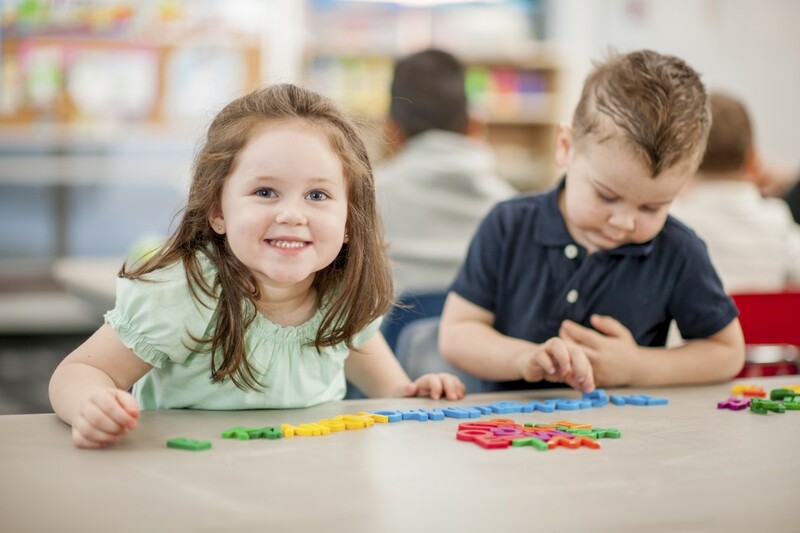 Montessori mathematics helps your child to grasp mathematical concepts along with sensory experience of numbers, quantities and mathematical operations. Cultural activities extend knowledge and understanding of art and crafts, geography, history, music and science. The natural world and cultures from around the world are explored and celebrated. 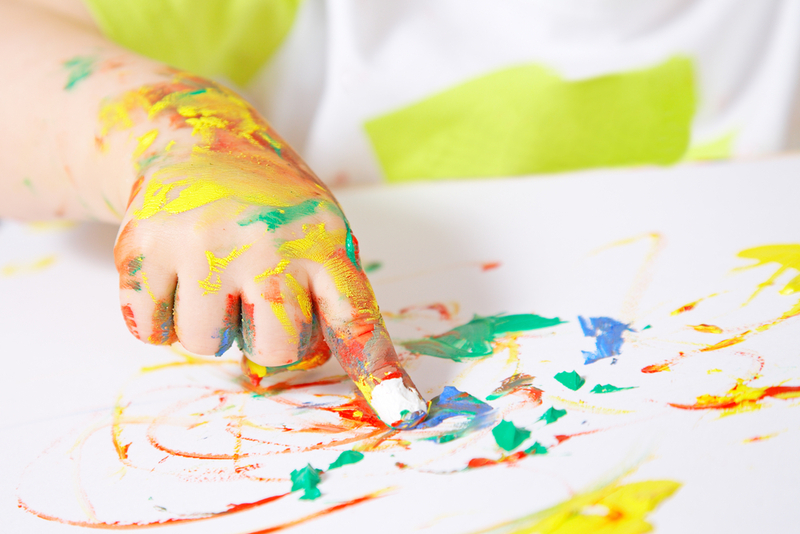 Painting, drawing, cooking, music, dance, role-play and foreign languages are all incorporated into your child’s daily activities. 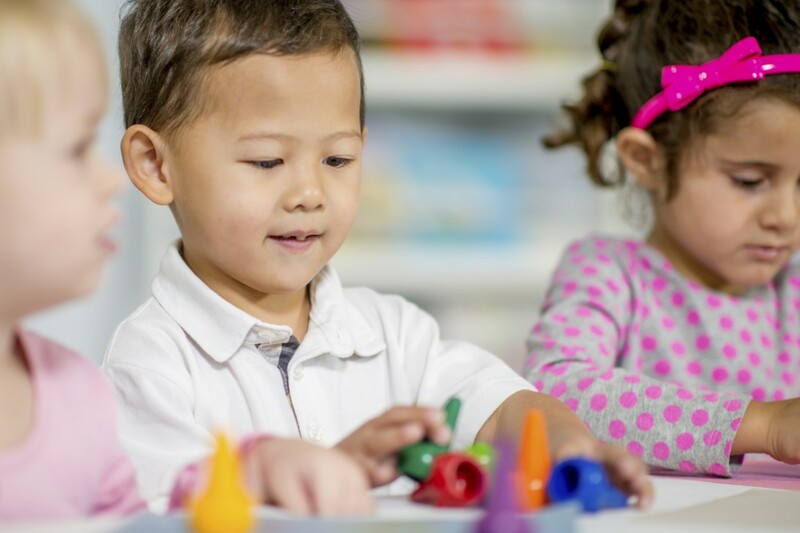 We at Hyde & Seek Childcare have designed our own carefully planned “Step Ahead” curriculum. An emergent and enquiry-based curriculum is tailored to the needs of the individual child the curriculum assists your child to progress successfully through the aims and goals of Aistear, the national curriculum framework for early education, and it cultivates a love of learning. The curriculum is planned in advance from September through to August to ensure consistency in application and variety in content. A balance of child initiated and adult led activities encourages your child to discover a wide range of subjects through play and exploration and prepares them to progress confidently onto the next stage of their learning and ultimately prepares them for primary education. No two children learn the same way. Therefore the curriculum is implemented at room level by the key carers who are most familiar with your child. They will adapt the daily activities to best suit the children in the room. Through skilful observation and assessment, these activities and opportunities are planned to encourage your child to gain pre-school skills with the minimum of pressure and lots of fun. We extend learning to the outdoor environment. We make the best use of the outdoor areas in each of our crèches and endeavour to get the children outdoors as much as possible, as the weather allows. We record and document your child’s learning and development in their own individual “Learning Journal”. This journal is available to review at any time by you. We at Hyde & Seek Childcare recognise the importance of working with parents in the education of their child and we welcome your input and knowledge. We are happy to discuss with you any aspect of your child’s development. Our unique curriculum is a creative, activity filled and fun approach to early years education and development which gives your child a Step Ahead on their learning path. Aistear is the Irish word for journey. 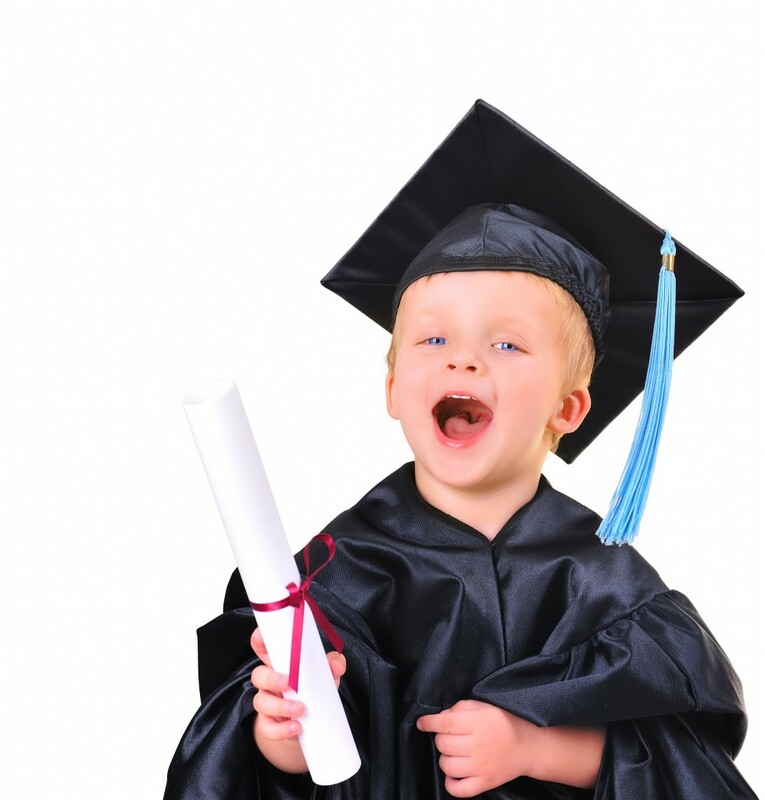 At Hyde & Seek Childcare your child will take their first steps on this lifelong journey. Aistear is an Irish national curriculum framework for children from birth to six years. This framework defines the key areas and goals of early childhood education for babies, tiny tots, toddlers and preschoolers, helping every child to grow and develop as a competent and confident learner. 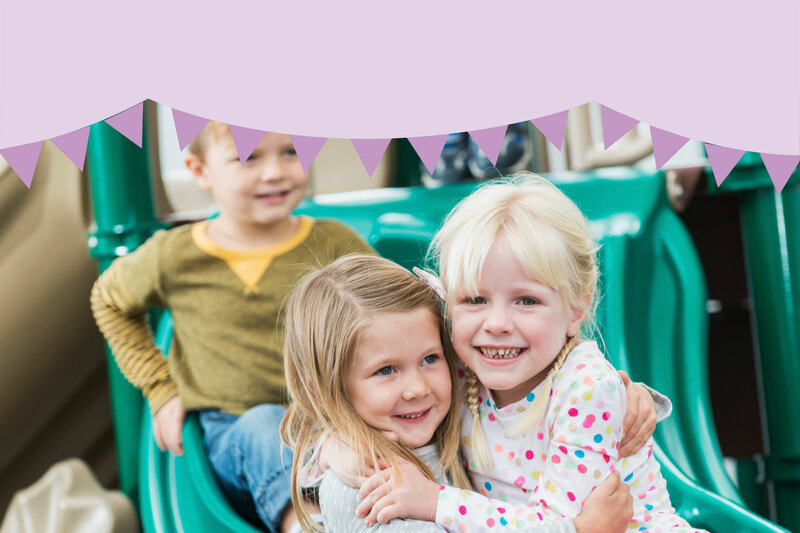 Hyde & Seek Childcare embraces and incorporates the Aistear Curriculum and Ethos into our care while introducing our own ideas to set a new standard of early years education through our Step Ahead curriculum. Within the Aistear framework there are 4 main goals of learning and development. These goals of Aistear are used by our team when planning fun and challenging opportunities for your child to partake in. These learning goals also act as reference points for our staff when assessing your child’s progress and they help to form the basis for all observations. Ensuring children are confident, happy and healthy. Children developing a positive sense of who they are, and feeling that they are valued and respected as part of a family and community. The theme of Communicating is about children sharing their experiences, thoughts, ideas and feelings with others ensuring growing confidence and competence. To help children make sense of the things, places and people in their world by interacting with them. By playing, investigating, questioning, and by forming, testing and refining ideas. Síolta is the ‘National Quality Framework’ for early years services in Ireland. Síolta is designed to define, assess and support the improvement of quality across all aspects of practice in early years settings. Hyde & Seek use this framework to assist in how we achieve the highest quality of care and education possible in our own unique and distinctive way. Both Aistear, and Síolta emphasise the importance of play in the home and in early education settings. 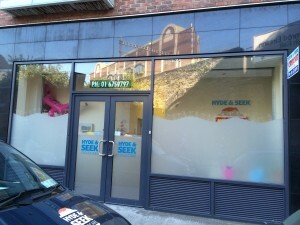 At Hyde & Seek Tolka Road we cater for children aged from 3 months to 5 years. A purpose built facility it includes separate bright and cheerful rooms for each age group. Each room is designed with special interest areas to stimulated and encourage a child’s development. The facility also includes an equipped outdoor play area. Parking bays in front of the facility allow for safe drop off and collections. Location: In addition to local families we are ideally situated for parents working in or near the City Centre. Positioned adjacent to Clonliffe Road we are on or near main arterial routes to the Eastpoint Business Park, the IFSC and beyond. Opening Hours: 0730-1830 Mon-Fri, 52 weeks of the year. Services offered: Full time, Part time, Sessional, Afterschool care. We participate in a number of Government funded schemes including ECCE and TEC. Contact us to arrange a visit, we will be happy to give you a crèche tour and tell you more about Hyde & Seek’s quality approach to childcare. Location: Centrally located between Pearse Street and the IFSC we are within easy walking distance of Trinity College, O’Connell Bridge and Grand Canal Dock. Services offered: Full time, Part time and Sessional care. We participate in a number of Government funded schemes including ECCE and TEC. Contact us to arrange a visit, we will be happy to give you a crèche tour and tell you more about Hyde & Seek’s quality approach to childcare. 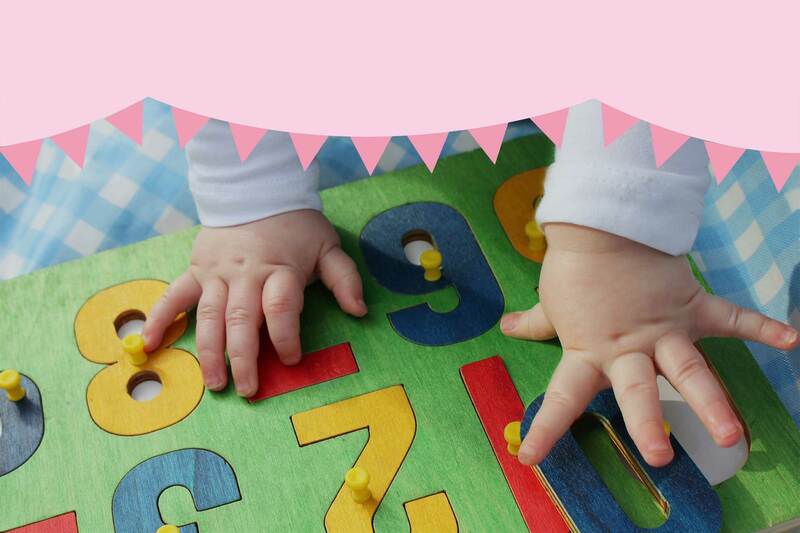 At Hyde & Seek Millbourne Avenue we cater for preschool children aged from 2 to 5 years. Our Afterschool Club caters for children up to 12 years. The custom designed facility includes bright and welcoming rooms tailored to meet the needs of the individual age groups. Each room layout includes age appropriate areas and resources. The facility includes a fully equipped outdoor play area. 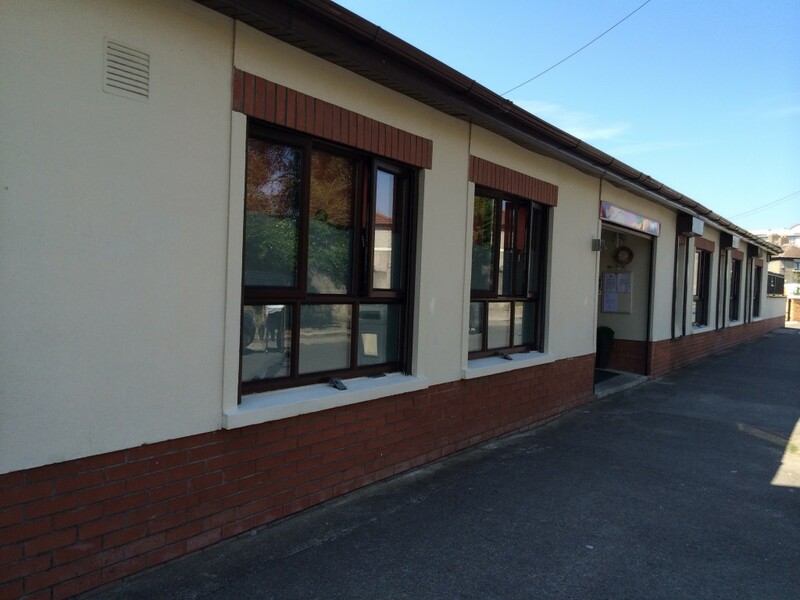 Location: Situated in the heart of Drumcondra and centrally located for many of the local national schools. We are adjacent to St Patricks National School and a stones throw from St Patricks College, Griffith Park and Drumcondra library. At Hyde & Seek Glasnevin (planned opening in mid 2017) we will cater for children from 3 months to 12 years. This custom built state of the art facility will allow us to bring our knowledge and ideals of childcare facilities to fruition. 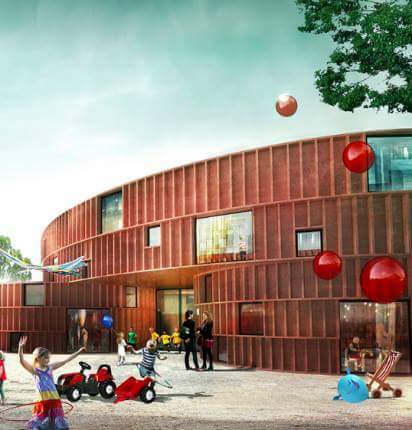 Boasting extensive outdoor play areas and a winter garden we plan to set new standards for childcare facilities. 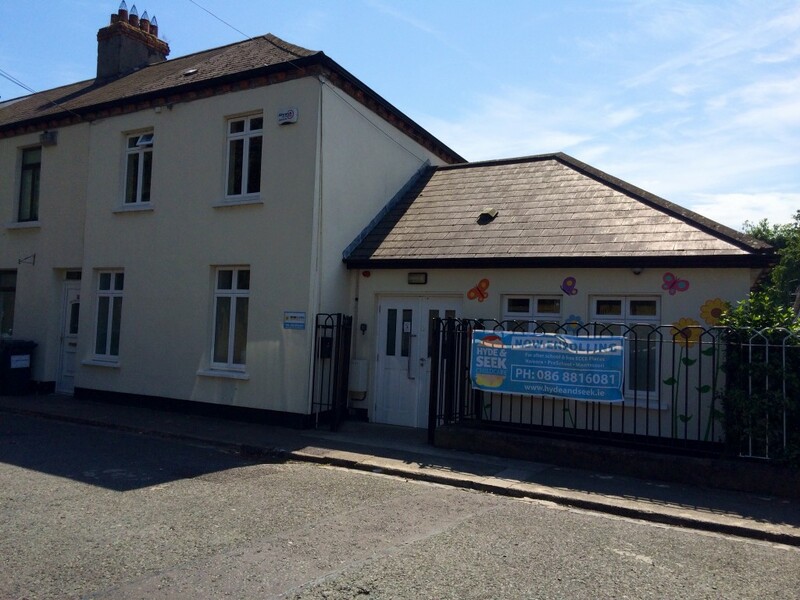 The facility is ideally situated at the convergence of Botanic Road, Phibsborough Road and Finglas Road. Services offered: Full time, Part time, Sessional care and Afterschool Club. We participate in a number of Government funded schemes including ECCE and TEC. Contact us for more information. Update Feb 28th 3.00pm There have been two further red weather warnings issued, one for today and tomorrow, and one for tomorrow and Friday, Currently we expect to be closed tomorrow and Friday . If there is any change we will update this post. Dear Parents 28th Feb Due to the red snow alert affecting Dublin and heath and safety concerns for our children staff, and parents we will only be running a limited preschool service. We will close at 1pm today 28th Feb. Sorry for any inconvenience. Keep warm and stay safe.